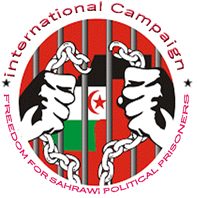 Occupied Aaiun, November 22, 2016 (SPS) - Moroccan occupying authorities has arrested on November 21, 2016 a former Saharawi political prisoner Mustafa Labrass in the Occupied city of Aaiun, on the ground of his participation in peaceful demonstrations demanding the right of the Saharawi people to self-determination, which took place on the same day in a group of Aaiun´s neighborhoods, Saharawi reported human rights. According to the same source, despite that they arrested Mustafa Labrass and kept him under custody in police station, the judicial police did not tell his family, so far, about his detention and its causes. According to testimony of some members of his family, they only informed by some eyewitnesses who saw their son's arrest by the police and forced to climb to the Moroccan police car.